Adding bead charms can add a beautiful adornment to your favorite charm bracelet or charm necklace collection. We offer many dog breeds and titles in conformation, agility, and obedience as an add-a-bead. We can also add dog paws, dog bones, as well as tiny ribbons to the bead. The beads are compatible with all add-a-bead style bracelets and necklaces. If you don’t happen to have a bracelet, or have always wanted one, no worries. We offer starter bracelets and necklaces in sterling silver and a black rubber cord that is finished in silver. All with twist off clasps so beads can be added easily. If you’re looking for a great gift idea, our dog-inspired charms just might be what you’ve been looking for. All of our silver dog-inspired jewelry is made with New Generation Silver that resists tarnish and rarely needs to be polished. We also offer these add-a-bead charms in 14K gold. 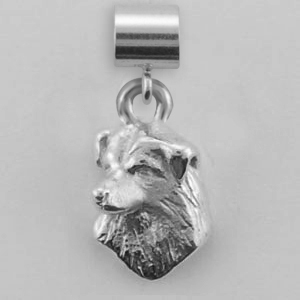 Sterling Silver tiny Australian Shepherd head study dog charm. 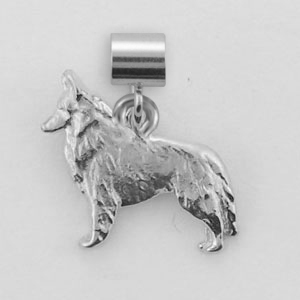 Sterling Silver tiny gaiting Australian Shepherd dog charm. 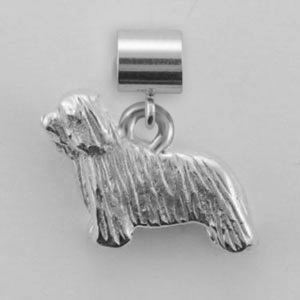 Sterling Silver tiny standing Bearded Collie dog charm. 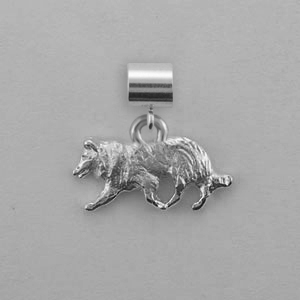 Sterling Silver tiny standing Belgian Sheepdog dog charm. 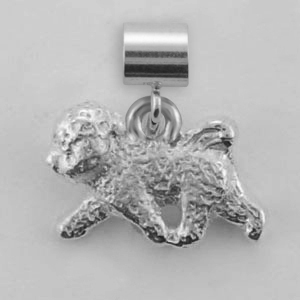 Sterling Silver tiny gaiting Bichon Frise dog charm. 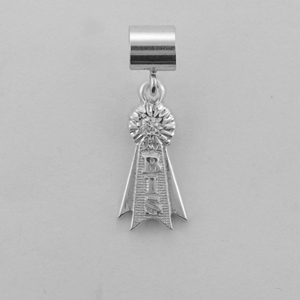 Sterling Silver tiny BIS Ribbon charm with Renzite. Sterling Silver tiny BISS Ribbon charm. 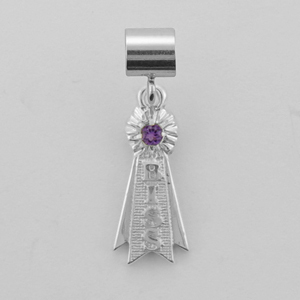 Sterling Silver tiny BISS Ribbon charm with Amethyst. 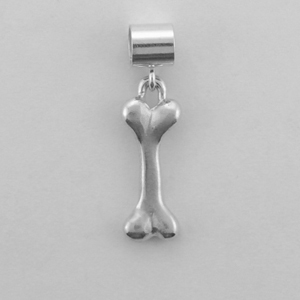 Sterling Silver tiny Bone charm. 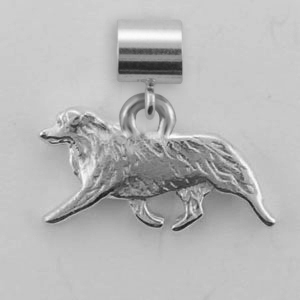 Sterling silver tiny Crouching Border Collie facing left. 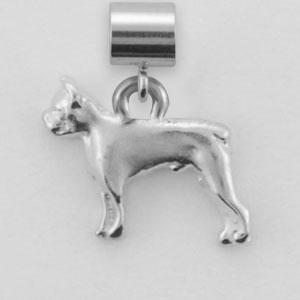 Sterling Silver tiny standing Boston Terrier dog charm. 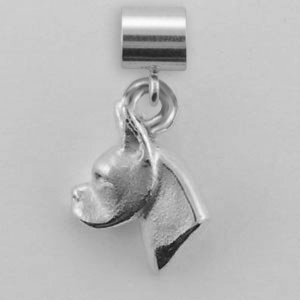 Sterling Silver tiny Boxer head study dog charm. 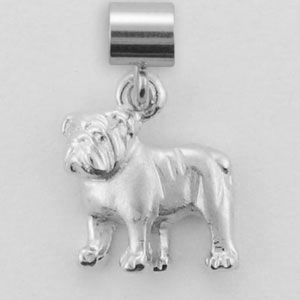 Sterling Silver tiny standing Bulldog dog charm. 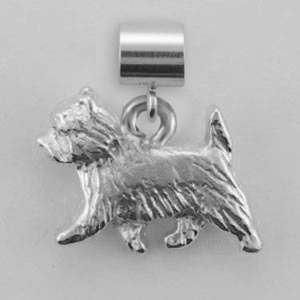 Sterling Silver tiny gaiting Cairn Terrier dog charm. 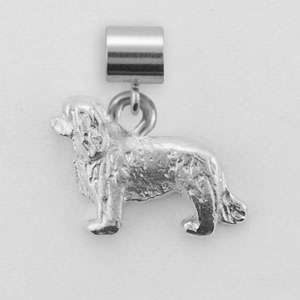 Sterling Silver tiny standing Cavalier King Charles Spaniel dog charm. 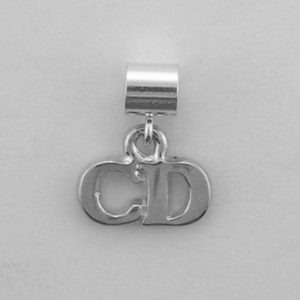 Sterling Silver tiny CD Title charm. 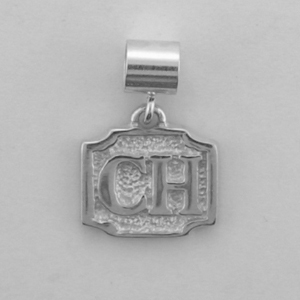 Sterling Silver tiny CH title medallion charm. 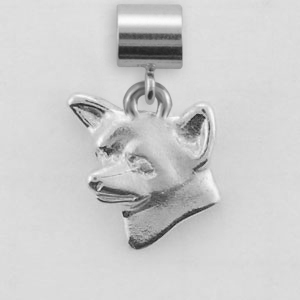 Sterling Silver tiny Chihuahua, Smooth head study dog charm. 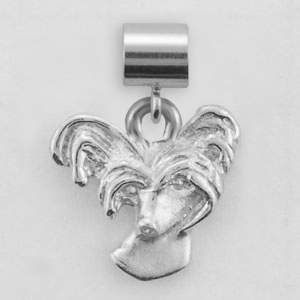 Sterling Silver tiny Chinese Crested head study dog charm. 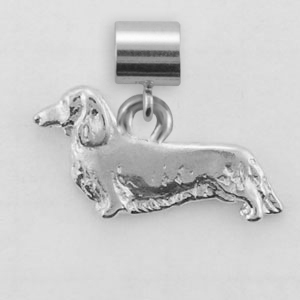 Sterling Silver tiny standing Dachshund, Longhaired dog charm. 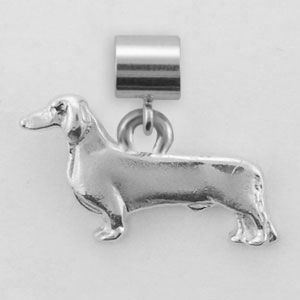 Sterling Silver tiny standing Dachshund, Smooth dog charm. 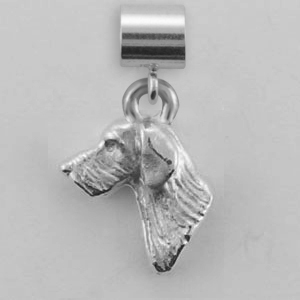 Sterling Silver tiny Dachshund, Wire-Haired head study dog charm. 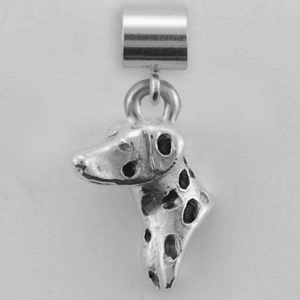 Sterling Silver tiny Dalmatian head study dog charm. 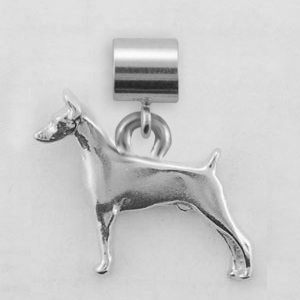 Sterling Silver tiny standing Doberman Pinscher dog charm. 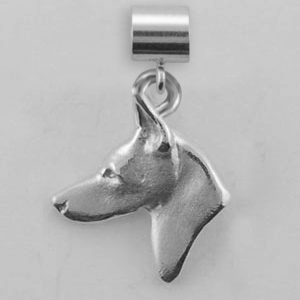 Sterling Silver tiny Doberman Pinscher head study dog charm.